Republic of Texas is a nation led by President Greene on the continent of North America. Republic of Texas's government is a Republic with very libertarian social policies. Economically, Republic of Texas favors far left wing policies. The official currency of Republic of Texas is the Dollar. 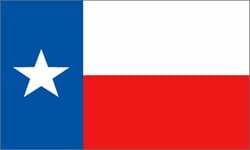 At 1,633 days old, Republic of Texas is an ancient nation. Republic of Texas has a population of 3,234 and a land area of 123,746.00 sq. miles. This gives it a national average population density of 0.03. Pollution in the nation is almost non-existent. The citizens' faith in the government is completely depleted with an approval rating of 0%. 04/19 01:57 pm - Texas had war declared by United Papalian States for the reason of "Gib me all ur moneyz". 04/19 08:04 am - Texas had war declared by Regiones Unidos de Iberia for the reason of ""Oof"". 04/18 06:02 pm - Texas changed their Color Trade Bloc from Gray to Blue. 04/18 11:45 am - Texas had war declared by Kaslandia for the reason of "inactive raid , DM for peace". 04/08 11:54 pm - Texas changed their Color Trade Bloc from Gray to Blue. 04/08 09:02 pm - Texas had war declared by Ribosera for the reason of "I just want your food, most of which you don't need". 04/08 07:00 pm - Texas had war declared by The Weeb Empire of Japan for the reason of "raiding (you probably don't even care anymore at this point)". 04/08 02:50 pm - Texas had war declared by Lost for the reason of "Arrgh!". 03/31 05:48 pm - Texas had war declared by AfGavinstan for the reason of "Inactive - message for peace". 03/30 07:12 pm - Texas had war declared by Braskia for the reason of "Let me see that bank". 03/30 11:58 am - Texas had war declared by Rivers for the reason of "I'm back 🍷👌🏾". 03/27 09:53 am - Texas changed their Color Trade Bloc from Gray to Blue. 03/26 01:10 am - Texas was embargoed by Tsardom Empire. 03/19 07:56 am - Texas had war declared by Roavin for the reason of "Me too, thanks". 03/19 05:47 am - Texas had war declared by Rivers for the reason of "Psst! I'm here for your resources 🍷👌🏾". 03/19 01:27 am - Texas changed their Color Trade Bloc from Gray to Blue. 03/18 09:15 pm - Texas had war declared by Calamity for the reason of "Ransom 10 million and we Peace". 03/13 08:07 am - Texas had war declared by Hjaltland for the reason of "Me too, thanks". 03/12 08:06 pm - Texas had war declared by Hammonasset for the reason of "Gib me all ur moneyz". 03/12 08:03 pm - Texas had war declared by Principality of Zeon for the reason of "A not-so-general dispute". 03/08 07:04 pm - Texas had war declared by Panacea Republic for the reason of "Inactive Raid - PM for Peace". 03/01 04:26 am - Texas had war declared by Galactic Republic for the reason of "TKR Raid". 03/01 12:16 am - Texas had war declared by Ancyra for the reason of "Inactive. PM for Peace.". 02/28 04:57 pm - Texas had war declared by Germanica for the reason of "Money". 02/20 03:12 pm - Texas had war declared by North Brickland for the reason of "I couldn't come up with anything better than the default". 02/20 09:10 am - Texas had war declared by Ethereum for the reason of "Welcome to Orbis.". 02/19 08:19 pm - Texas had war declared by Cheesetopia for the reason of "You brought this on yourself". 02/14 07:13 pm - texas was embargoed by The Free State of Texas. 02/14 07:13 pm - The embargo on Texas placed by The Free State of Texas has ended.